Here is one project we did at my stamp club on Friday Feb. 22, 2008. Supplies used: 2 Coasters, Berry Bliss paper, So Close to Cocoa,Purely Pomagranite, Pretty in PinkCard Stock.Purely Pomegranate ribbon, 4 differant punches and small self-stick calenders made by Vippies. The website to purchase these calenders is www.Vippies.com I going to put picture on the other side of coaster. I had some time to play around with Sale-a-Bration sets. This is one I made. You have time to order $50.00 and recieve a Sale-A-Bration set. I used the stamp set called "Friendship Blooms"
Email me if you need further instructions. Enjoy your Day! Well here's a card that requires no Stamping. Just rub-ons and punches! Yippee, a card you can put together in just minutes.This card is 3x6 it fits well in Stampin Up's Small Open-End Envelopes.Notice the leaves my up-line Patty B. Showed me how to make these. You take your Wild Wasabi paper fold in half run it through your paper crimper, cut a half of leaf shape open and bam! You have a beautiful leaf.Paper used in this card is Kraft, Sky Blue,Wild Wasabi,Desinger Paper "Fall Flowers"
I love Stampin Up's new Rub-ons. Get yours today. Sorry about the photography. The photo doesn't do the colors justice in this card. This is a Dahlia fold, you take eight circle and fold them. It make a beautiful flower. I put a rhinestone in the middle and there you have it. I used Stampin Ups Designer Series paper called "Fall Flowers"
I made a total of 80 cards for the Oakland Stampin Up Regional. I made three different designs. Here is the second card I made. The Stamp set used is "Stitched Exotics". 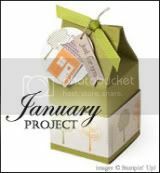 Paper used is "Le Jardin" So Saffron, Very Vanilla, Always Artichoke, Bashful Blue card stock. Ink used is Always Artichoke, Bashful Blue. A little bit of Bashful blue Ribbon and a Build a Brad. Oh yea don't for get the punches, scallop punch and small and large oval punch. I love Stampin Up's punches. This is the 3rd card I made for the Stampin Up regional. Pink is my favorite color. This card also has glitter to add a little bling. My recruit friend Debbie H. gave me this stamp set. I love this stamp set called "Fabulous Flowers". I used a total of three different stamp set for this card. The wording for this card was stamped with Royal Rose ink and the Stamp was from the stamp set called "True Friend" . The back ground was Stamped with a stamp from "Priceless" set. Paper used is Royal Rose, Pretty in Pink and Whisper white. The inks used were also the same and the papers. 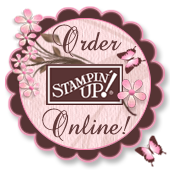 This is one of the main reasons I love Stampin Ups products because the all match. Yesterday was Stampin Up's Oakland regional. It was so much fun. 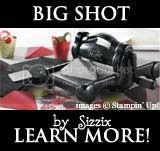 I got so many wonderful ideas for my next up coming stamping classes. Just wanted to share with you my swaps I brought to swaps out. I will be sharing with you many of the card I received in the next couple of days. 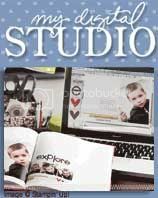 So check back I have some beautiful sample that other Stampin Up Demos made. I brought 80 card to swap out and received 80 different card to bring home.